Viano MO Bacter is an organo-­ mineral fertiliser for lawns with an indirect action against mosses. 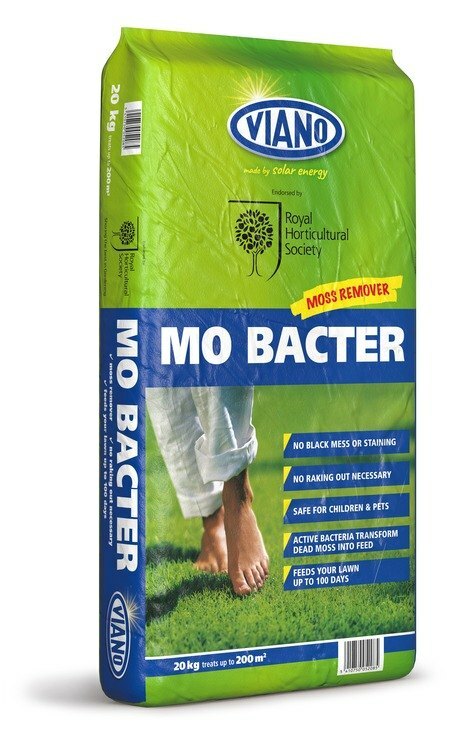 MO Bacter gives the needed nutrients to the lawn and ensures that existing moss is indirectly inhibited in growth. MO Bacter does not makes stains on tiles, terraces and concrete. It prevents the formation of new mosses in lawns. It contains also decomposing bacteria that transform organic waste ( thatch) into useful lawnfeed. This fertiliser works up to 3 months. Viano MO Bacter contains useful decomposing bacteria which transform thatch in to organic lawnfeed. No raking necessary when using this product.